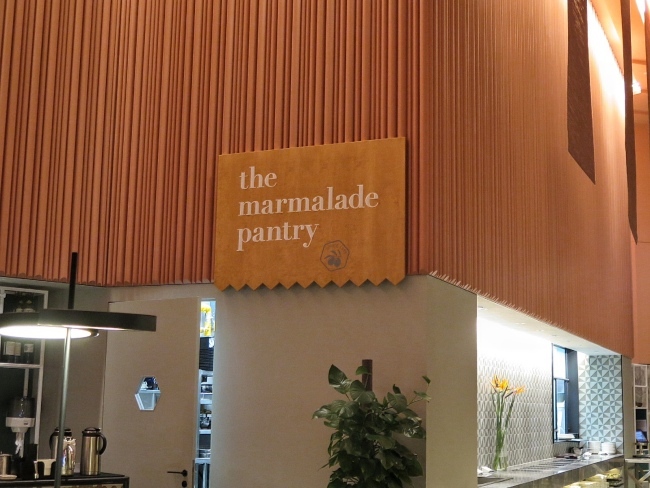 The Marmalade Pantry (Downtown) ~ Located at the new Oasia Hotel Downtown. 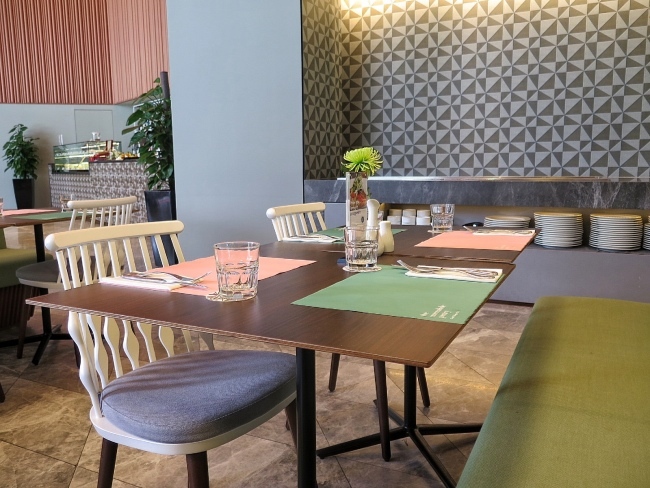 A new beautiful hotel which is very accessible via Tanjong Pagar MRT. 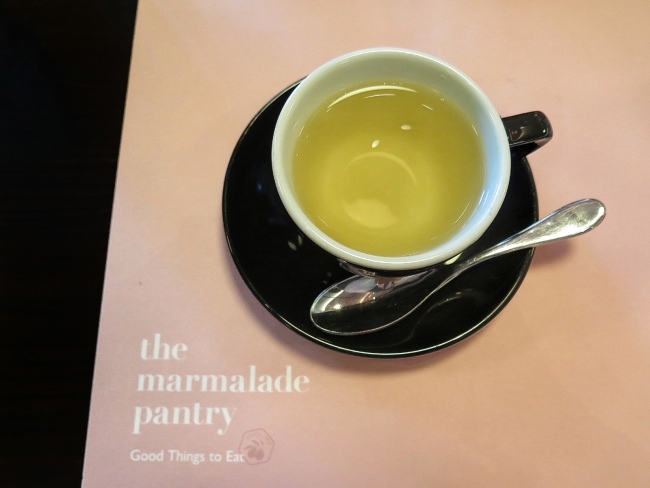 I was excited to find that The Marmalade Pantry is one of the restaurants in the Entertainer App. There is 1 for 1 main menu item. Awesome Offer! Great Savings! Love the Ambience! I think it is a nice place to chill out during lunch and dinner. Refreshing Splashes of Brown, Pink and Olive Colors. Very soothing and sweet. 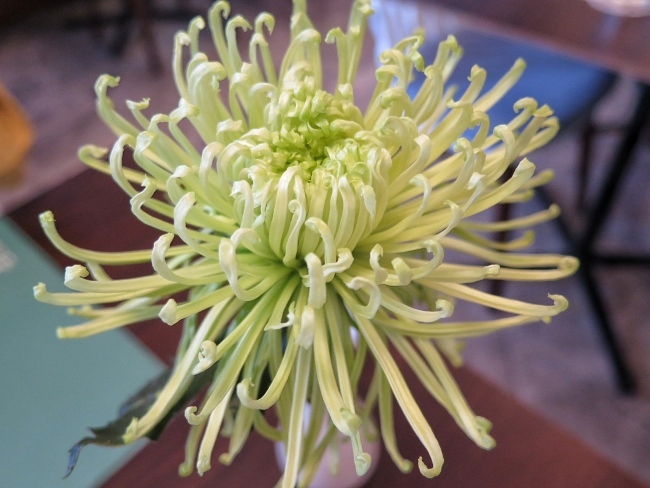 The flower look so pretty too. It look so fresh as if freshly plucked from the garden! The tall glass windows allow the natural light in. Naturally Lit up the place. It feels so peaceful in the middle of the bustling business district. Great dining place for the office warriors nearby. Friendly Service Staff who brought us swiftly to our seats. When we asked for recommendations, they also give good suggestions and know their menu well. When I email on reservation, their replies are so pretty prompt. 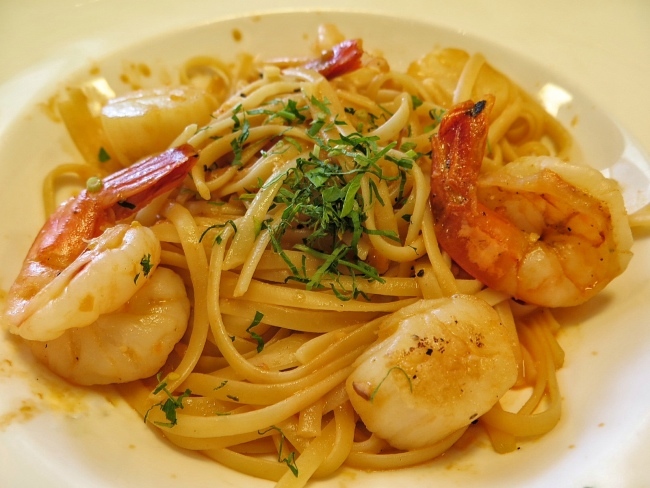 Linguine with prawn bisque sauce. The sauce is quite light not overpowering. They are also generous with their succulent juicy scallops and prawns. The linguine are also cooked well to a nice texture. 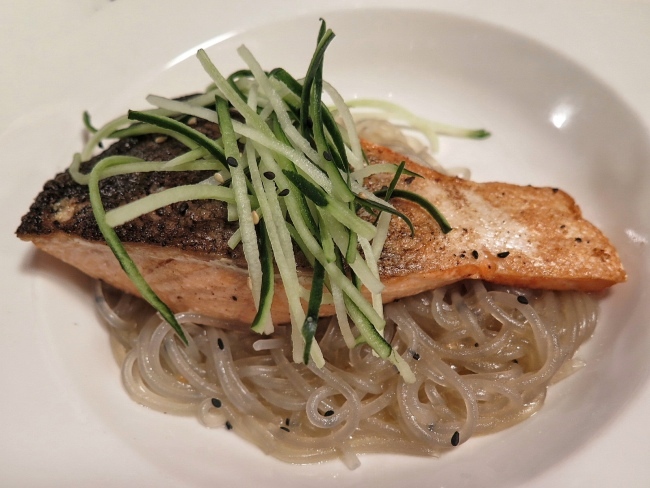 Pan-Seared Salmon on a bed of warm sweet potato noodles, sesame and cucumber with yuzu dressing. 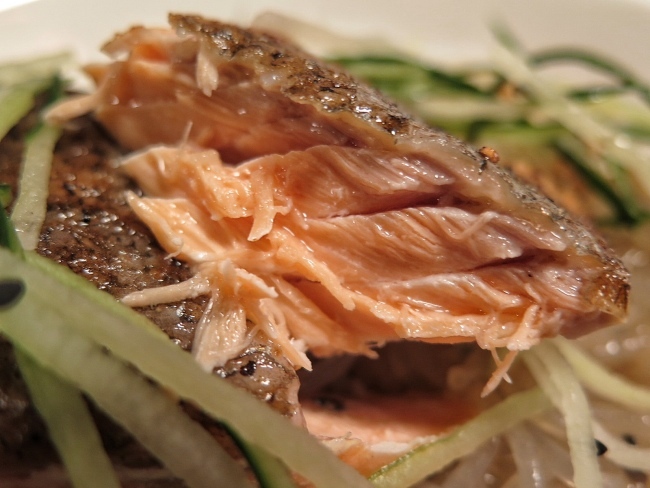 The salmon is moist with a little pink. It is quite creative to complement with sweet potato noodles. It is gluten free. The noodles together with the yuzu dressing, it feels very refreshing. 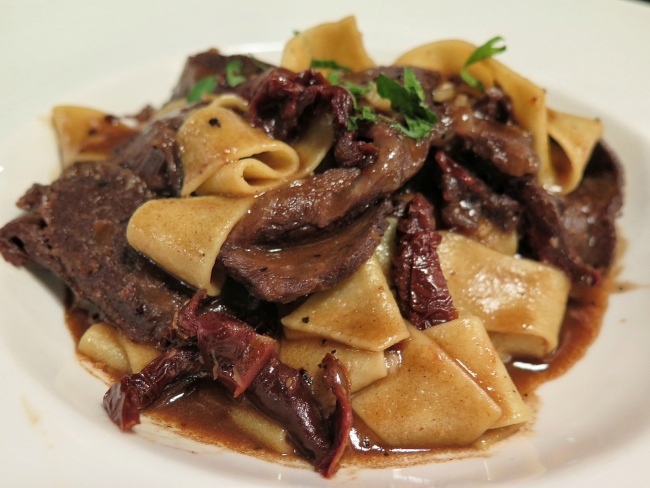 Braised Beef Cheek with sundried tomato, parsley and Pappardelle. The Beef Cheek is very tender with a rich, deep flavor. The sundried tomato complement the rich flavour well by adding an extra punch of intense tomato flavor. Pappardelle is a very broad, flat pasta noodles. Reminds me of our chinese style hor fun. We ordered the CHOCO CAPPY milkshake (espresso, chocolate syrup, vanilla ice cream, fresh milk). It is good that they use icecream in their milkshake. Making it thicker and more flavourful. CHAMOMILE tea is light and fragrant. 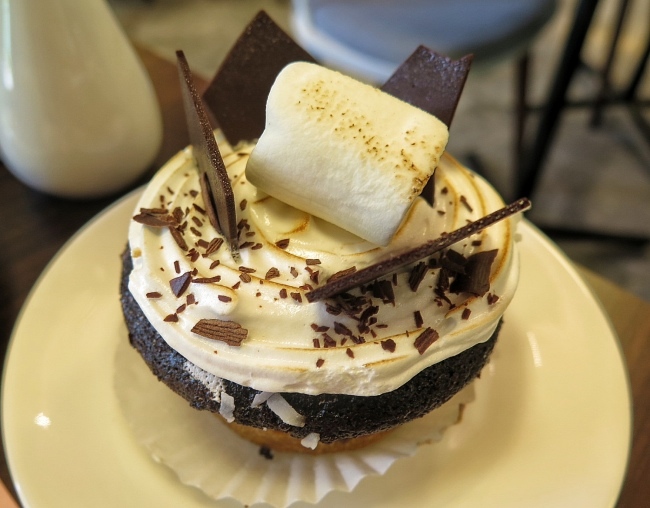 Smores - Graham cookies lined chocolate cupcake finished with toasted marshmallow and chocolate shards. Lovely chocolate cupcake. Love a sweet ending!~ Chocolate makes people happy. Nice to have it during lunch or dinner to have a nice cheer to the rest of the day. 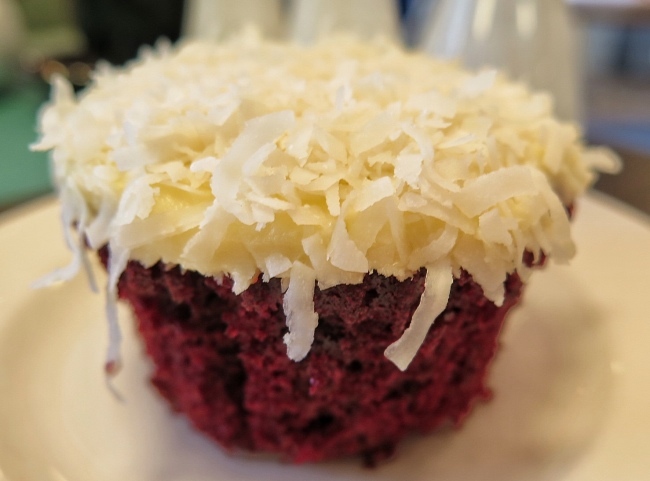 Red Velvet - red velvet cake with coconut cream cheese frosting. 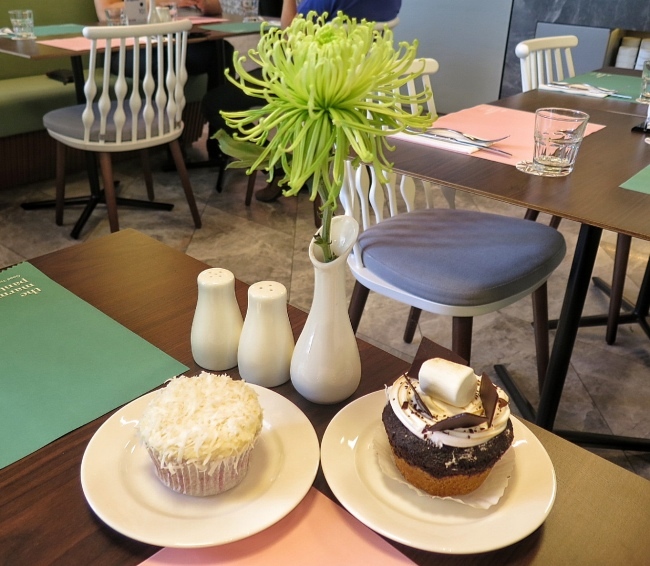 The cupcake look so white when it was served. Look prettier after we peel off the wrapper. 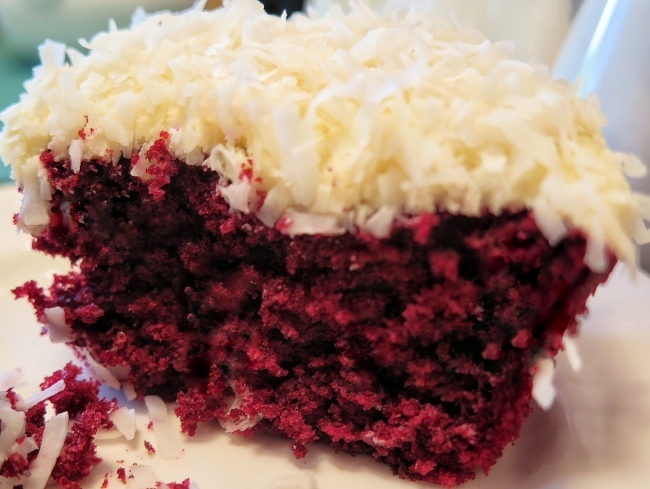 The red velvet cake was quite moist. 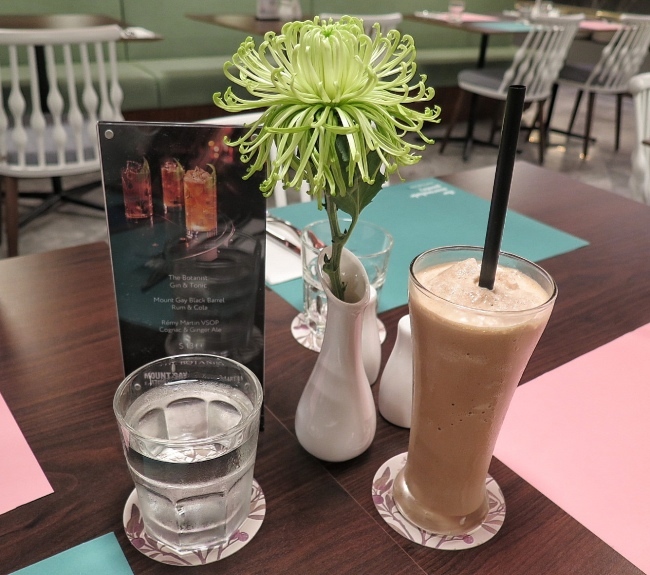 The Marmalade Pantry (Downtown) ~ A sweet lovely cafe with olive and pink color theme. It is quite accessible. Located near Tanjong Pagar MRT. 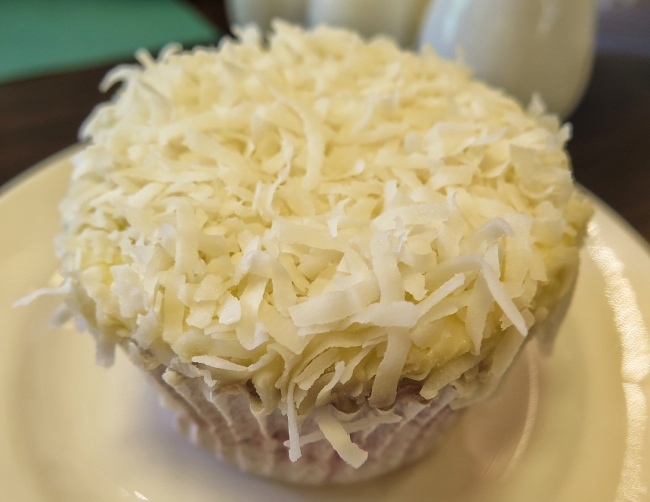 Great for office lunch and after work chillout. It is on Entertainer App. Offering 1 for 1 main menu item! Great Savings. I enjoyed the beef cheek papparadelle. The beef cheek is rich with flavours.